The new technology of digital printing on glass is an advanced technique allowing for the printing of digital high-definition images, photographs, designs, and writing in CMYK on tempered-glass sheets. Our STONEFIT line continues to grow, offering a rich, colorful range adapted to the continuous renewal of your home decor. Our new "embossed effect" texture is highly impactful. 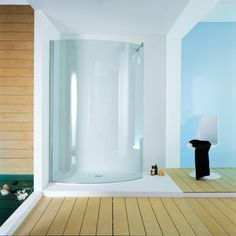 Do you need a professional to choose or maintain your shower solution? Samo is always by your side.